Adair County Elementary School concluded their 2017 Math Bowl competition on Friday, December 1, 2017. Grade level homerooms competed to get the most blue ribbons awarded in Study Island’s math program. Blue ribbons are obtained by mastering a math concept. School-wide the school earned 19, 411 blue ribbons (3rd – 7,737; 4th – 7,564; 5TH – 4,110). 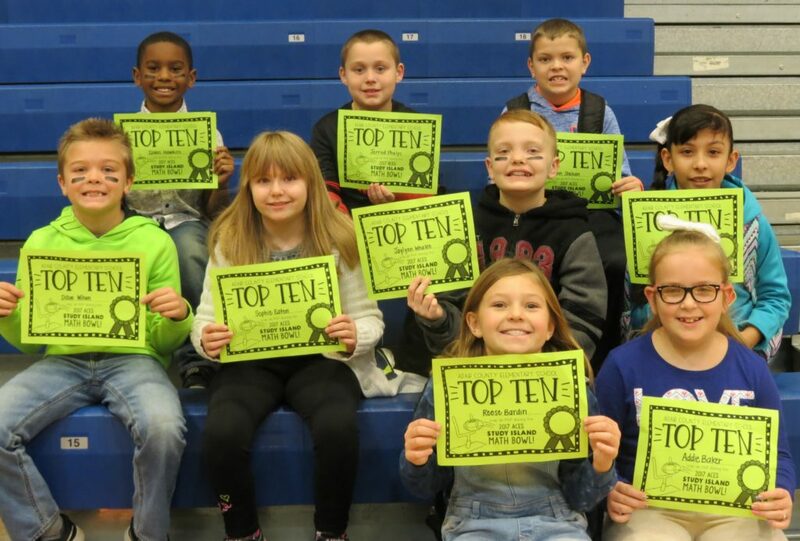 The following students were the top ten blue ribbons winners at ACES: Addie Baker, Reese Bardin, Bradley Cooper, Sophie Eaton, Isaac Hawkins, Jerrod Phelps, John Shehan, America Valadez, Jaylynn Whalen and Dillon Wilson. 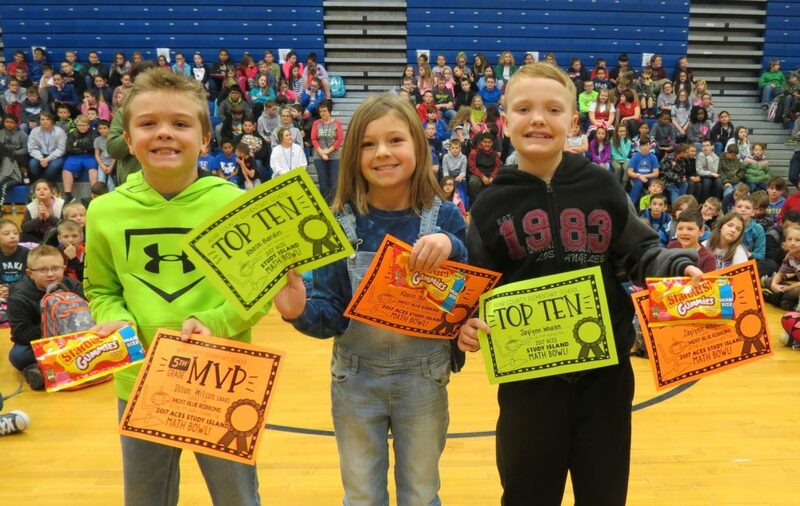 Most Valuable Players of each grade level were: 3rd grade, Reese Bardin (254 blue ribbons), 4th grade, Jaylynn Whalen (258 blue ribbons) and 5th grade, Dillon Wilson (202 blue ribbons). These students all received certificates for their achievements. 3rd Grade (1,662 blue ribbons) – MRS. LESLIE WADE’S HOMEROOM – Timothy Brock, Zakkary Burchett, Tristyn Burton, Casen Carter, Bradley Cooper, Autum Cross, Carlos Gomez-Hernandez, David Hansen, Isaac Hawkins, Brody Karnes, Robbie Karnes, Hillary Klingberg, Addison Litteral, Crystal Mendoza, Kaden Meredieth, Sydney Miller, Dereck Mills, Kailan Parrott, Jose Paz-Holley, Savannah Pyles, Erica Richardson, Marli Smith, Jacob Stargel and Jayden Schorman. 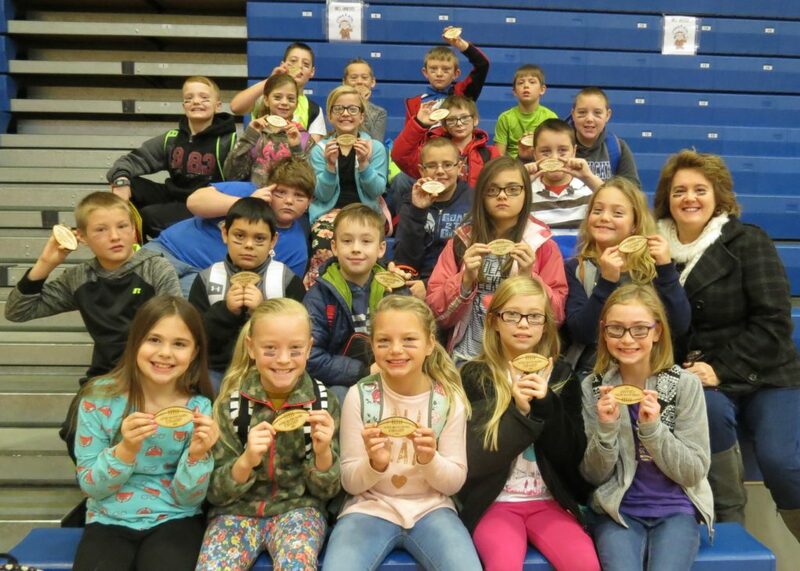 4th Grade (1,689 blue ribbons) – MRS. DEBBIE BRADSHAW’S HOMEROOM – Kinzlee Akin, Chelsea Bennett, Elliot Bernard, Billy Parrish, Brenton Harvey, Maycee Hovious, Olivia Huff, Gavin Larguero, Jade McCollum, Alex McGuffin, Alan Meyer, Chloe Murrell, Adrian Muse, Caden Neal, Lily Neat, Isaiah Pelly, Isaac Rexroat, Kaden Sparks, Jaylynn Whalen, Jacob Willis, Kaylee Vance and Matt Whitehead. 5th Grade (1,164 blue ribbons) – MR. NICK COE’S HOMEROOM – Gage Bernard, Abigail Burch, Melanie Coomer, Alyssa Cooper, Wesley Curtis, Lash Davenport, Lexi Dawson, Caleb Evans, Jack Fishback, Panasha Gecheo, Landon Holmes, Autumn Jones, Cadence Larguero, Grayson Maslen, Michelle Medrano-Delgado, Jayden Montgomery, Addison Mouton, Derrick Riter, Kylin Turpin, Mercedes Vanarsdale, Timothy Williams, Dillon Wilson, Kolton Wilt, Ethan Stump, Brylin White and Roury Schilling. The competition was a huge success! ACES would like to thank parents, guardians, and others who helped to make this successful! Special thank you to Mr. Jason Mardis (ACES Custodian) for his donation to host a pizza party for one homeroom. A drawing (each time a homeroom earned 100 blue ribbons, name was added to box to draw) was held for this and Mrs. Julie Smith’s class was the winner!